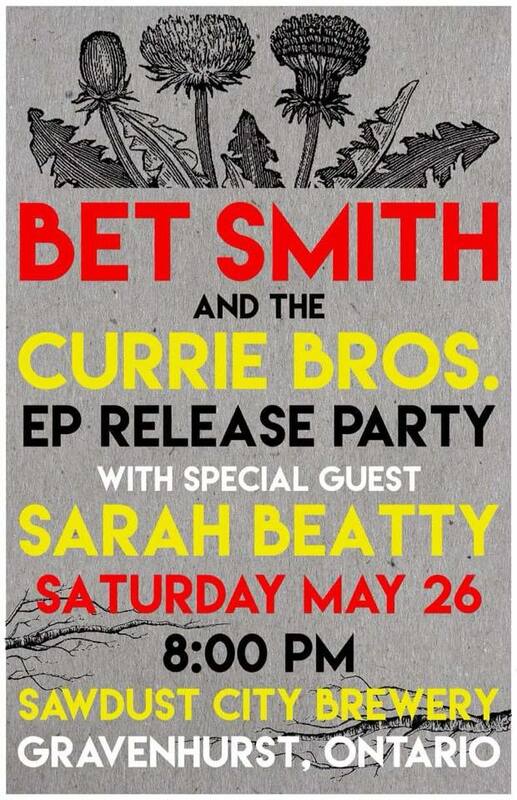 I met Bet Smith a few years ago and got to see her play at the Moonshine Cafe when I was organizing Songbirds, a really cool lady songwriter showcase that's still happening via some excellent organizing in Oakville. It's been a while since Bet and I got to do a show together, and I couldn't be more thrilled to be a part of this EP release. If you're in the neighborhood, come on over! Sawdust City Brewery, Gravenhurst, ON, 8PM. Email if more information is required! Newer:New Show Added: Vienna, Austria on May 12th - La Vitrina Older:2018 Ontario Independent Recording Artist of the Year Win at the JRLMA's!